Horowitz sometimes hits his mark when stepping into the voice of another author, and he did so in House of Silk. The deft writing is so good that I felt as if I'd discovered a long-lost Conan Doyle story.Recommended. This was an excellent Sherlock story and Derek Jacobi was most excellent as the narrator. 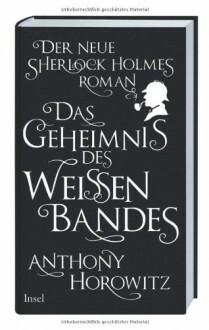 I recommend this audiobook to any fans of Sherlock Holmes!